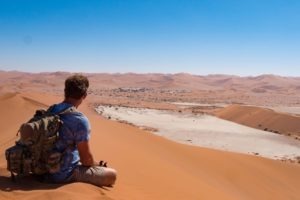 This trip offers the chance to experience Namibia in all its beauty with it’s iconic landmarks around every corner: the oldest desert, the highest sand dune and the second largest canyon in the world. 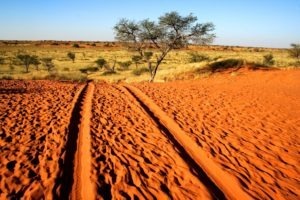 Safe to say that Namibia captivates you the minute you set foot into this wild and wonderful country! 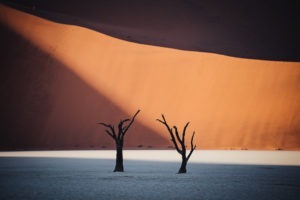 Namibia offers largely untouched landscapes with little to no people around and scenery that leaves even the most seasoned travellers speechless and really creates a photographic wonderland. 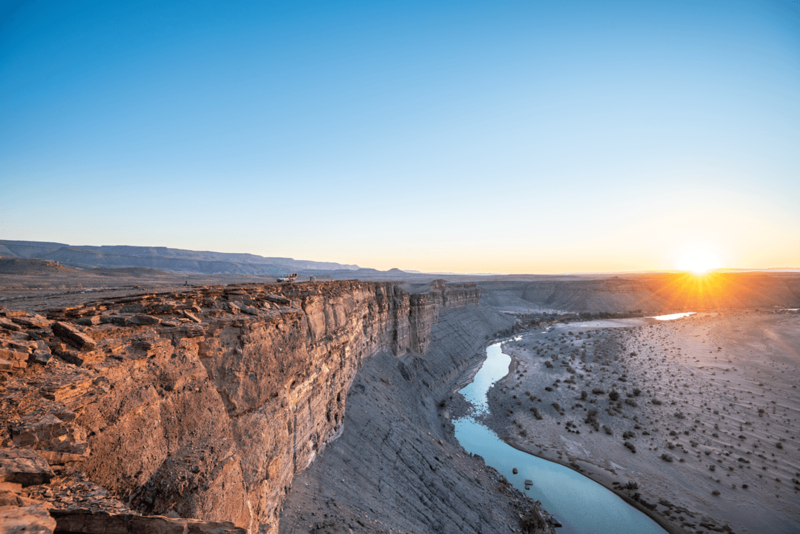 Starting off in the capital of Namibia this trip continues southbound towards the Kalahari and the Fish River Canyon in the South. From there you’ll visit coastal Luderitz with the eerie ghost town of Kolmanskop. 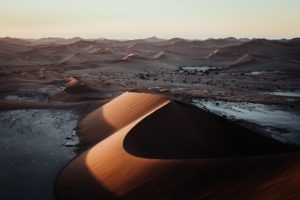 En route north you’ll spend two nights in magical NamibRand Nature Reserve followed by a highlight of the trip: The world’s highest sand dunes in Sossusvlei. Enjoy the breeze and some excellent seafood in Swakopmund before travelling further trough the Erongo Mountains and Damaraland, both offering breath-taking wilderness, unique desert adapted animals and ancient rock paintings. 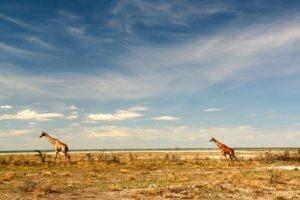 Etosha National Park is known as one of the best game viewing spots in southern Africa, thus a must for this itinerary. 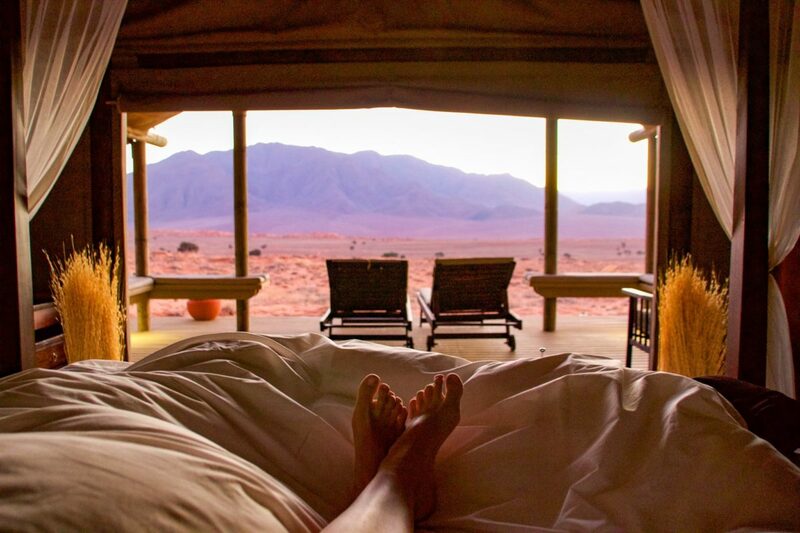 A more intimate safari experience will be possible at Erindi Private Game Reserve. 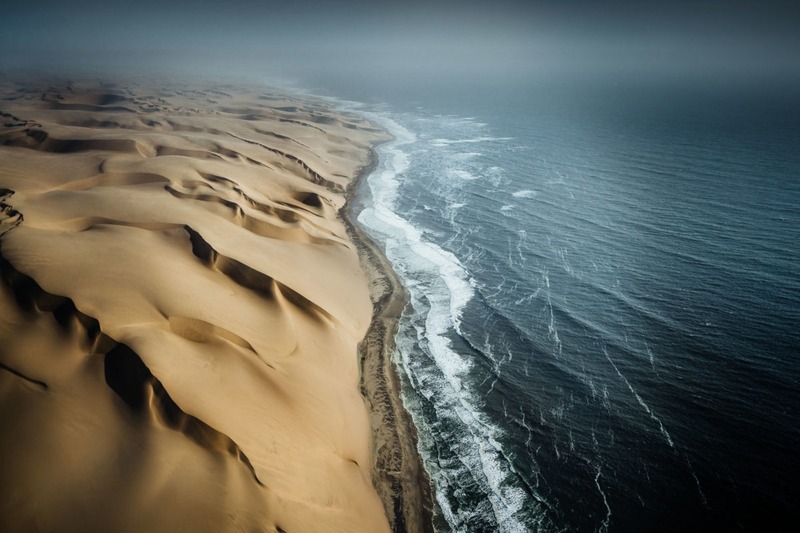 Today you’ll leave the coast behind you and drive towards the Erongo Mountains and you’ll see that the scenery will once again change drastically. 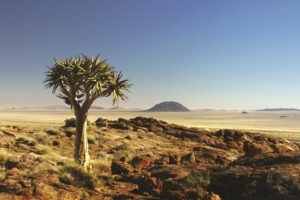 The Erongo Mountains are a circular massif, which is an eroded relic of a volcano that was active 150 million years ago. 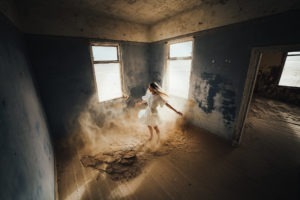 The area is characterized by many huge granite boulders that are scattered around the landscape and a variety of pre-historic rock paintings and engravings. Erongo Wilderness Lodge lays surrounded by a breath-taking mountain backdrop and is an ideal location to explore the area. Spend your day hiking and find some bushman rock-art at Paula’s Cave. 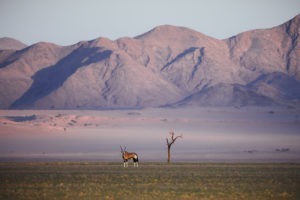 As the region also has a high wildlife population you can join a nature drive, on which you’ll also see some game such as oryx, kudu, mountain zebra, eland and giraffe. If you’re very lucky you might even find some leopard, which thrive in this mountainous and rocky environment. 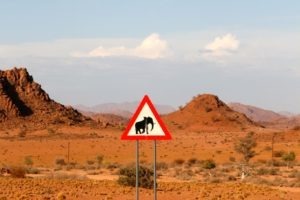 Travelling further into Damaraland, through a region that is known for its endless and untouched landscapes – you might even get a feeling of having arrived on another planet. Experience the meaning of true wilderness in Damaraland with rugged, rocky landscapes, rolling hills, ancient riverbeds and deep gorges. 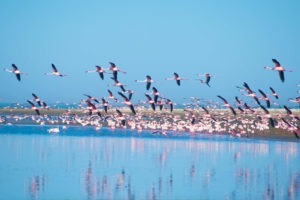 The wildlife can be scarce but even more special and unique, offering a once in a lifetime experience, as you can be sure to have any wildlife-sighting completely to yourself. Damaraland also boasts the geologically fascinating Twyfelfontein World Heritage Site, which is home to thousands of ancient Bushman rock engravings. 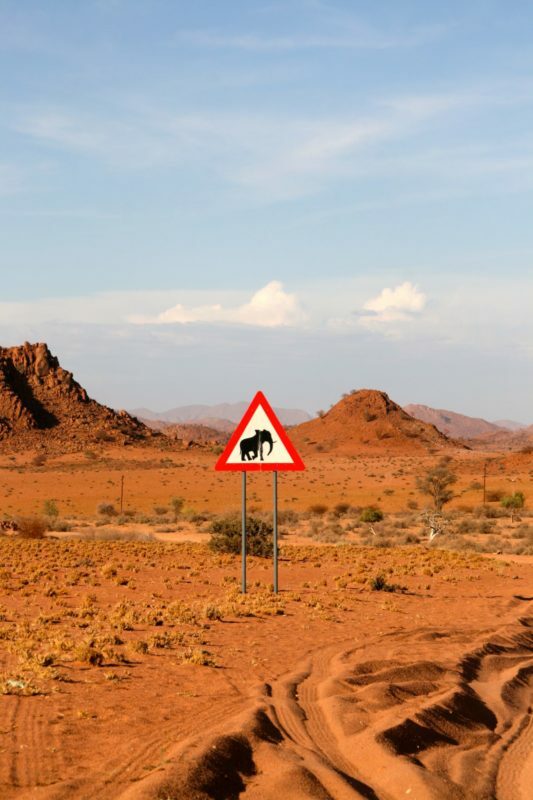 Explore Damaraland on an early morning game drive in search of elusive desert dwelling elephants, hike in the ancient surroundings of the Aba Huab River or travel back in time at Twyfelfontein, Namibia’s first World Heritage Site. 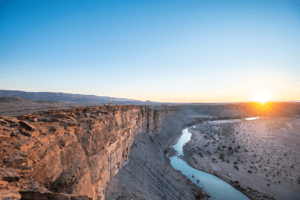 The Palmwag Concession will be your next stop, where you’ll be able to get up close with the largest free-ranging populations of the critically endangered desert-adapted black rhino. 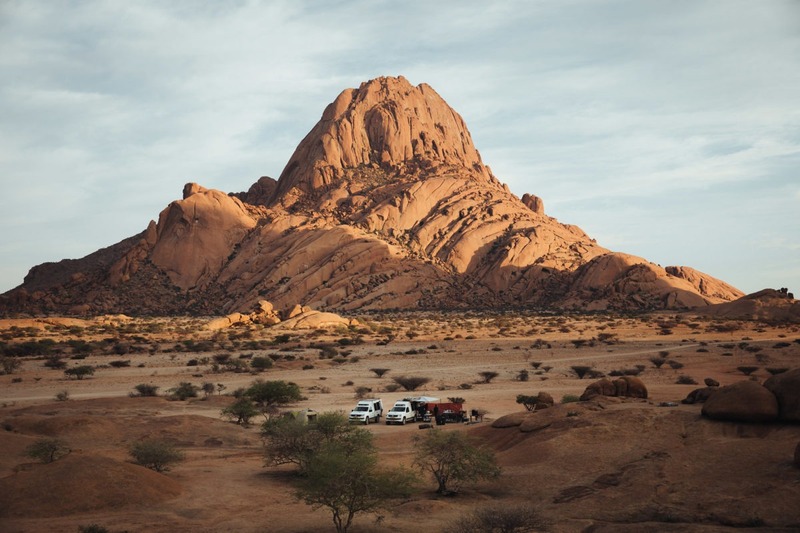 Desert Rhino Camp lays deep in the dramatic landscape of Damaraland in a wide valley surrounded by stacked granite rocks, deeply carved gorges. 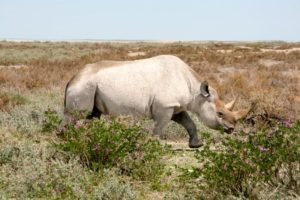 The camp is run in conjunction with the local community and Save the Rhino Trust and offers unique activities with trackers from the conservation organisation. Spend your days on safari with highly-knowledgeable guides in search of desert adapted rhino, elephant, gemsbok, giraffe and Hartmann’s mountain zebra. If you’re lucky you might even catch glimpse of predators such as lion, cheetah and brown or spotted hyena. Rhino tracking on foot is a truly unforgettable and exclusive experience and enables up-close encounters with these unique creatures. 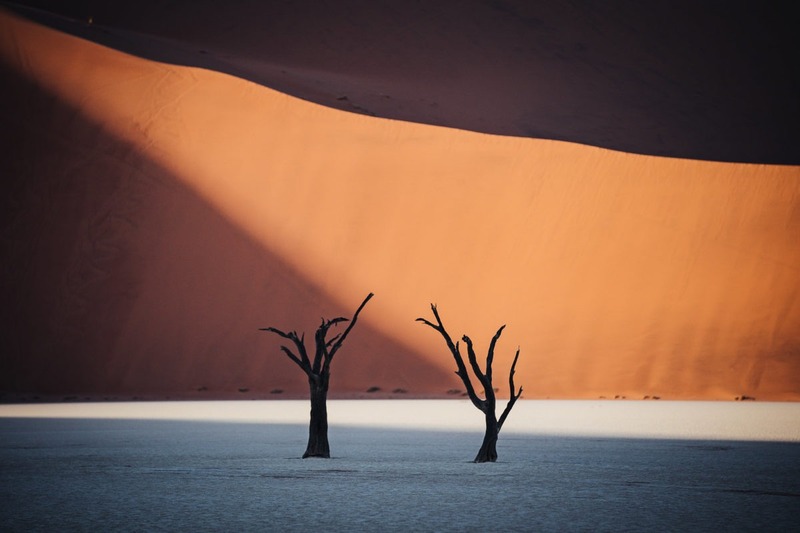 Continuing your route Northbound you’ll reach a highlight of this trip: Etosha National Park – The place to go when wanting to truly experience everything Namibia has to offer in terms of wildlife. Especially during the dry winter month you’ll have fantastic game sightings. 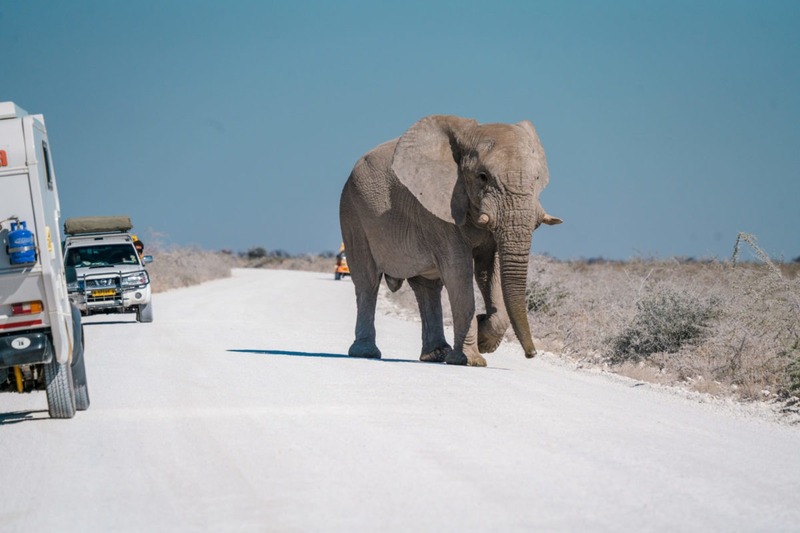 Spanning over an area of over 22,270 km2 Etosha is one of the most accessible game reserves in Southern Africa and ideal for self-driving. 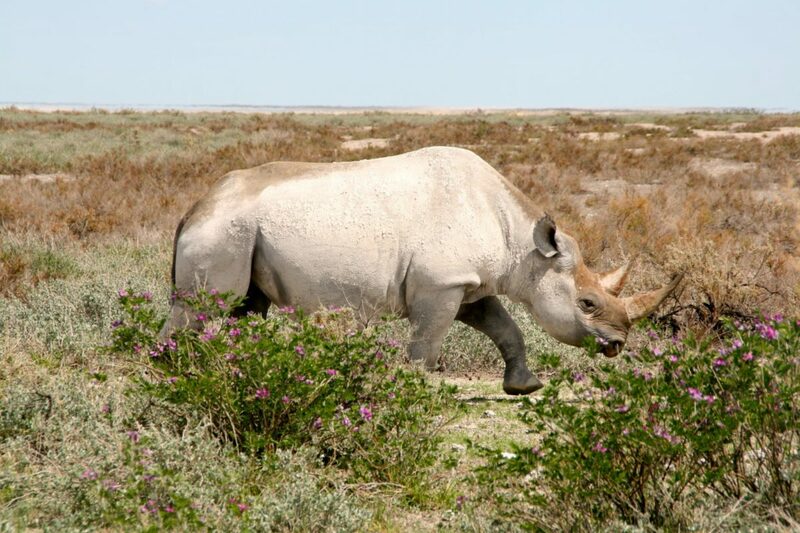 You can visit the park’s various watering holes and observe animals in their natural state and get up close with its healthy population of predators such as lion, cheetah and leopard, as well as different herbivore species such as kudu, giraffe, eland, oryx and zebra. Take your time while driving: You’ll have the best chance of seeing wildlife by doing things slowly, being observant and paying attention to the small things. 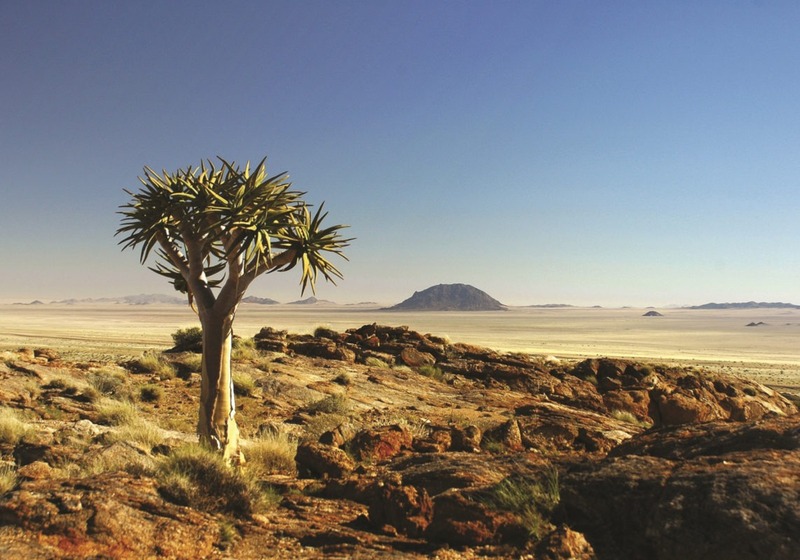 The park is named after the huge salt pan – it’s most distinctive and dramatic feature, visible even from space. 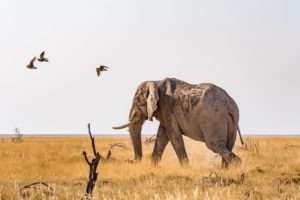 You’ll be accommodated in two private game reserves directly bordering Etosha, which offer game drives in Etosha as well as in the Ongava Reserve. Enjoy an authentic Etosha experience with many private game sightings. 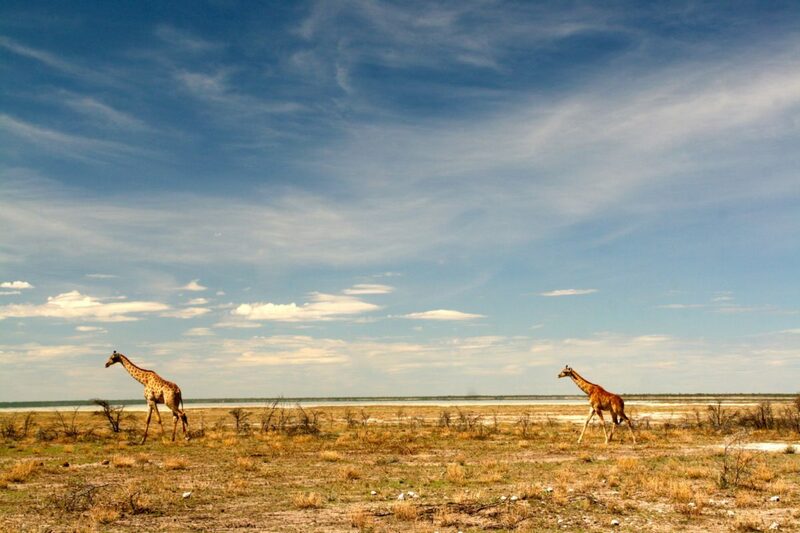 Leaving Etosha behind you, you’ll make your way southbound. 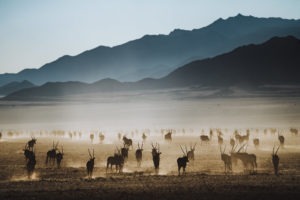 Before returning to Windhoek, you’ll have one night at Erinidi Private Game Reserve, which offers 70,719 hectares of pristine wilderness and wildlife. Enjoy varied activities such as cultural village tours, educational trips around the reserve, guided bush walks and game drives encountering elephants, giraffes, rhinos, lions, hyenas, zebras, kudu, wildebeest and many other animals. Do not miss the opportunity to take a night drive to catch a glimpse of the nocturnal species. Alternatively, you could spend your afternoon enjoying the view over the lodge’s highly frequented waterhole. 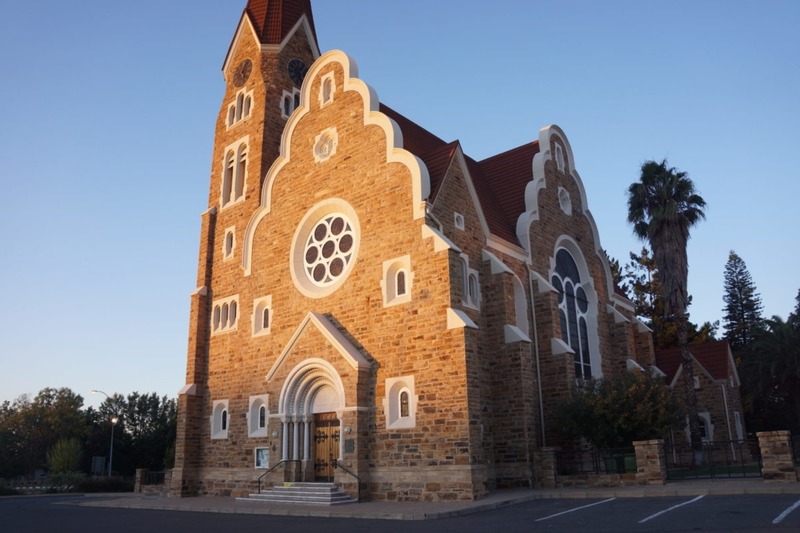 Tomorrow you’ll return to Windhoek – so you might be reminiscing about all the unforgettable memoires made in this beautiful country, before returning to every-day-life.